State officials lied to the media and the public during the emergency, and treated oil workers’ families with contempt, the OWRPO said in a report published in February. The government was quick to dismiss the report, but its own 14-person commission, set up to deal with the disaster’s consequences, has not breathed a word. The prosecutor’s office has opened a criminal case (which is standard procedure), but has made public no details of its investigation. It is not known whether it has questioned managers accused by oil workers of glaring safety breaches. 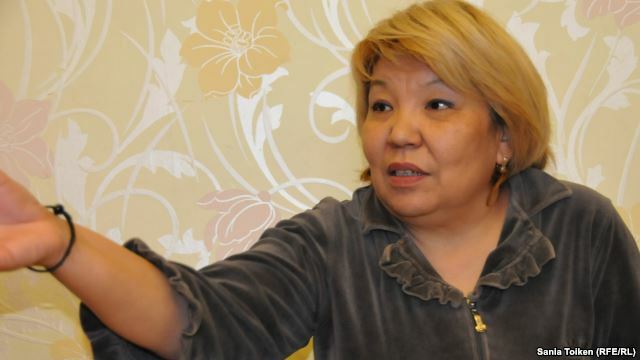 Mirvari Gharamanli, president of the OWRPO, said in an interview with People & Nature: “It’s ‘oil first, people second’, just like in Soviet times. The human factor is devalued. It should be other way round: people first, and then the oil. “People should have been evacuated in a timely way. Attention should have been paid to these safety issues. But the human factor comes at the end”, she said. Wind speed had risen to 38-40 metres per second, and the height of waves rose from 8 metres to 9-10 metres. At about 17.40, a submarine gas pipe running from the platform broke. There was an explosion of gas escaping from it, and a fire broke out, which soon spread to a number of the oil and gas wells operated from the platform. Due to the strength of the storm, firefighting and rescue vessels were unable to reach the platform, which is operated by Azneft, a production division of Socar (the State Oil Company of the Azerbaijan Republic). There were 63 workers on the rig; most of them evacuated via the north side of the platform and boarded two lifeboats. The OWRPO says that the way the evacuation was implemented by those in charge on the platform showed a lack of safety training and awareness. Both of the boats were lowered on cables to about 10 metres above sea level: it was decided not to lower them into the water for fear of being dashed against the platform by the storm. One of the lifeboats was blown by the wind and got wedged between the platform’s supporting legs. That saved the lives of its occupants, who were rescued after the storm subsided. The cables holding the other boat snapped. It was blown against the side of the rig and broke into pieces. Those on board were thrown into the water. The rescue vessels, still held back by the force of the storm, only managed to pull three men from the water, one of whom died straight away. The rest of those who had been on that lifeboat perished. The OWRPO concluded that there were 12 dead and 19 missing, presumed dead (listed in the OWRPO report here). There has been no official list of victims published by the government or Socar. ■ Workers had reported a gas leak from the pipeline a day before the disaster. They were told by the managers of the “28 May” oil and gas production department not to stop production, although doing so might have minimised losses when the accident happened. ■ The practice, and legal requirement in Azerbaijan, of reducing worker numbers on rigs to the minimum during stormy weather, was not followed. Of the 63 people on the rig when the fire began, 15 were members of a construction and drilling team, in breach of the Labour Code, which states that construction, installation and dismantling work on platforms should be stopped during stormy weather. ■ There were other non-essential workers, including five catering staff, on the platform. “The heads of departments are obliged to explain to society, and the families of killed and missing oil workers: why didn’t they send them away, if they received information about a hurricane?” the OWRPO report states. ■ Azerbaijan’s law requires that in storms of force 8 or greater, most types of production work should be stopped, and that in storms of force 10 or greater, all work, except to flush and cool tools, should be stopped. This did not happen. ■ “Safety rules were seriously violated”, the OWRPO said; direct responsibility lies with the heads of the “28 May” oil and gas production department, the complex drilling trust, the transportation department, Caspian Catering Service and others. ■ Questions were raised by industry specialists about the quality of the lifeboats, and when they had been inspected. The OWRPO report also detailed the fog of lies and deceit created around the accident by the government and Socar on the evening that it took place. For six hours after the emergency began, no public comment was issued by Socar or the ministry of emergency situations; then Socar issued a statement that there had been no injuries or deaths. Mirvari Gharamanli explained in her interview how her Facebook page became a lightning rod for information in the midst of an official blackout. The OWRPO also accuses the authorities of treating oil workers’ families with contempt. Although, under pressure, they established a central information point, no psychological support was provided, and some families were sent away by intolerant officials. Socar in March issued an inconsequential rebuttal to the OWRPO report (reported here), which failed to deal with any of the main points, but has itself said nothing about the causes of the disaster, or the possibility that safety procedures could be improved. It is hard to think of a more cynical, money-grubbing attitude to the safety of a company’s employees. The background to the disaster is the generally poor safety culture in the Azerbaijani oil industry, the OWRPO says. In 2014, 19 people were killed; in 2015, as a result of the accident on platform No. 10, this figure more than doubled to 40. The organisation blames production-oriented management and the spinelessness of the officially sanctioned trade union, which has raised no protest at the official failure to investigate last year’s tragedy. The Guneshli death toll was the highest on an offshore oil platform since the explosion on Piper Alpha in the North Sea, which killed 167 British workers in 1988, and the highest in any offshore accident since the American drilling ship Seacrest capsized in the Gulf of Thailand in 1989, killing 90 people. And yet the international reaction to it has been minimal. The British government, a key supporter of the Azerbaijan regime, has maintained a polite silence. BP, which operates the largest oil and gas fields in Azerbaijan, and has billions of dollars’ worth of joint projects with Socar (although it has no operational involvement whatever with the Guneshli field where the accident took place) sees the Azerbaijani company as one of its most important business partners. Senior BP managers and Baroness Nicholson, representing the UK government, were among those who had more important things to discuss. Oil is an international business. We need to find a way to link up international struggles in workers’ and communities’ interests. Let’s hope the international trade union federations can find ways of putting pressure on Azerbaijan over its appalling safety record. Maybe British and Norwegian oil workers could take up the issue. Let’s find ways of supporting OWRPO’s efforts to organise Azerbaijani oil workers, to improve workplace conditions and dismantle the safety culture that subordinates human life to production. GL, 4 August 2016. 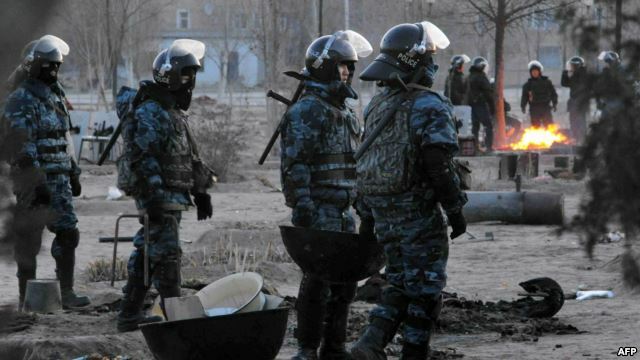 Street protests against plans to step up land privatization were broken up by police in many of Kazakhstan’s largest cities on Saturday, May 21. The demonstrations were organized by informal online networks rather than by any of the recognized opposition groups. Here are the key points from a report by Andrei Grishin, published in Russian on the website of the Fergana News Agency. Kazakhstan had waited for the events of May 21 with bated breath. [Protesters had named that as a day of action after a previous wave of demonstrations had forced the government to pull back from planned land reforms. See an earlier report here.] The official media had railed against the protests. And it all ended, as it has so many times before, with the “slaughter of the innocents,” but this time more brutal than usual. The detention of dozens of journalists, including foreigners, was proof of that. However, for the first time, people came out to protest all at once, in a number of cities and towns, without any leaders, because these leaders had either been arrested in advance, or had agreed to the authorities’ demands [after the previous demonstrations] and joined the [government’s] land commission. 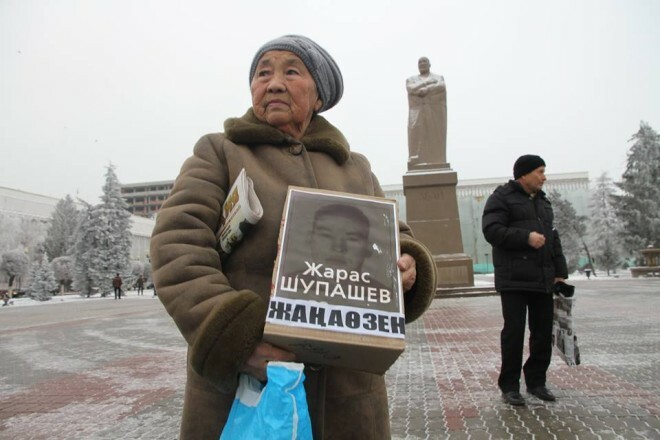 Nevertheless, even this small number of demonstrations was a new phenomenon in Kazakhstan, in the sense that they started simultaneously in different regions. And all the experts noted in chorus that the land question was just the pretext, that in fact people have all sorts of other issues with the government. And that is really worrying parliament, above all, the fact that people are openly, and quite legally, calling for the resignation of the president. And so it was clear that the government once again would deal with the problem [of protest] with repression. Evidence of this was the series of criminal cases opened even before May 21 against civil society activists, and the announcement by the internal affairs department of Western Kazakhstan about “preventing mass disorder.”And it is still possible, of course, that the Almaty police will “find” the owners of the molotov cocktails and sticks [i.e. use frame-up tactics against militants]. 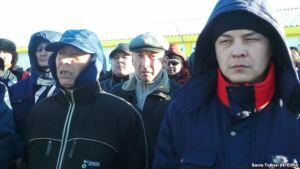 However at the same time the authorities have treated the land question with great caution, thus the one-year moratorium [announced by President Nazarbayev on 6 May] on the amendments [to the land code], and the establishment of the land commission, and inclusion in it of several “disloyal” civil society activists, and the hints that have been dropped about the possibility that each citizen of the country could be granted by law 1,000 square meters of free land. The Russian performance artist Pyotr Pavlensky has been sent to the notorious Serbsky Institute of Psychiatry, and his family and lawyers are worried about him. On November 9, 2015, Pavlensky poured petrol over the doors of the infamous Federal Security Service (FSB) building at Lubyanka Square in central Moscow and set fire to them. He named the action Threat (Ugroza). Friends photographed and filmed him as the flames took hold. (Damage was done, but no one was hurt.) Pavlensky was arrested soon afterwards. Pavlensky has been charged with “vandalism motivated by ideological hatred,” whatever that means, and appeared at the Tagansky District Court several times. 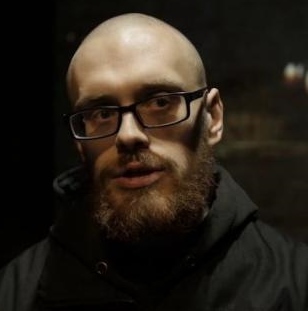 At his first appearance he compared his case to those of Crimean activists jailed on false “terrorism” charges – including Oleksandr Kolchenko and Oleg Sentsov – and said he would not address the court further. Yanukovich, he went with collaborators to the Maly Konyushenny Bridge in Saint Petersburg, setting light to car tires and banging dustbin lids, to recreate the atmosphere of the Maidan demonstrations in Kyiv. Pavlensky was sent to the Serbsky State Scientific Centre for Social and Forensic Psychiatry last month (on January 27) to be observed by doctors. The centre was then closed due to an outbreak of a strong flu-like virus, and Pavlensky’s lawyers have been denied access to their client. Human rights campaigners are focusing on Pavlensky’s case and Amnesty International have expressed concern about it. Meanwhile, artists are protesting a decision by the National Centre for Contemporary Art to throw Pavlensky’s performance out of the contest for this year’s Innovation Prize. Clearly, the Innovation Prize organizing committee has taken a step backwards. In 2010, the prize was won by the Voina group for painting a large phallus on a bridge near FSB headquarters in Saint Petersburg. 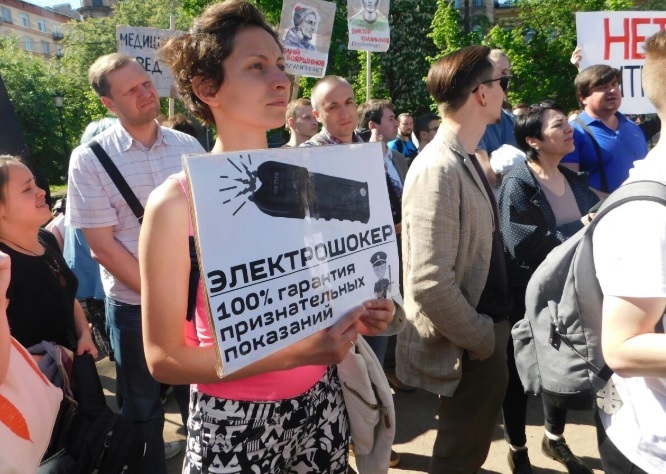 Punitive psychiatry has been on the rise in Russia again since the 2011 demonstrations against government ballot-rigging. 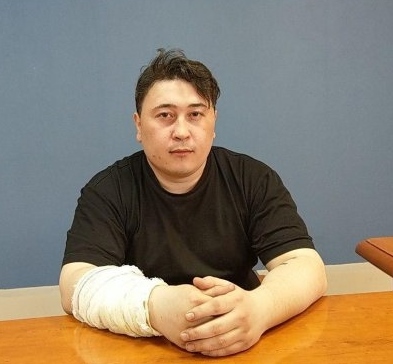 In October 2013, Mikhail Kosenko, one of the defendants brought to trial after those demonstrations, was sentenced to indefinite psychiatric treatment after the Serbsky Instititue declared him insane. 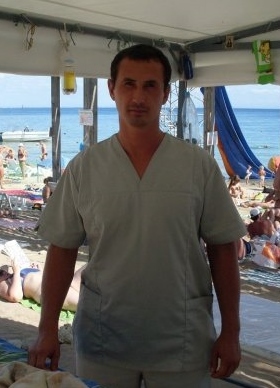 Psychiatric treatment was also used in the recent case of Crimean activists, three of whom are serving long jail sentences in Russia and are widely regarded as political prisoners. But punitive psychiatry goes back much further. It was used in the Soviet Union from (at least) the 1940s, to deal with those who defied its tyrannical, misnamed “socialism”, and became widespread in the 1960s. 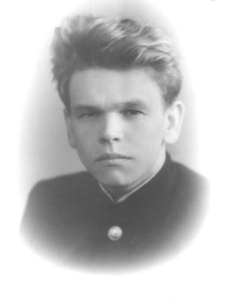 It was the Serbsky Institute that developed the diagnosis of “sluggish schizophrenia” (vyalotekushchaya shizofreniya) which was widely applied to political dissidents. Finally, a thought about Pavlensky’s art. I am pretty conservative in my artistic tastes, but it works wonders for me. What is an artist supposed to do when his government becomes increasingly repressive and supports military mayhem in a neighbouring state? Paint landscapes? In my view, setting fire to the doors of the Lubyanka was a cry of sanity in an insane world. I’m not blind to the limitations of individual protest, but this protest tried seriously to deal with the state machine’s monstrous corrosion of humanity. If you are a western leftie thinking “Well, this is hardly the worst example of state repression,” give me some credit. I know. I, too, see the sickening irony in the denunciation of Putin for ordering Syrian children’s deaths to gain diplomatic advantage by people who had little to say about Tony Blair and George Bush ordering Iraqi children’s deaths on a vastly greater scale. Well, you know what, it’s not a competition! Putin’s violence is part of the same process as Tony Blair’s, not some sort of answer to it. For me, this is about the reality with which my friends, activists in social and labour movements in Russia and Ukraine, have to deal. Editor’s Note. A huge thanks to Gabriel Levy for writing this timely and pointed essay and especially for his permission to republish it here.